William Bowie a slave and skilled carpenter along with his family were freed by the will of Roderick McGregor of Prince George County Maryland in the year 1858. Fifty- Five years later in 1913, his grandson William Augus Bowie and John Whitelaw Lewis co-founded the Industrial Savings Bank in Washington DC and together they would make important and lasting contributions to the African-American community of Washington. Thomas and John Vreeland Jackson were manumitted by Richard Vreeland in 1828 in Bergen County NJ. Oystermen by trade they would go on to become two of the first black property owners in Bergen County and conductors of the Underground Railroad who helped thousands of slaves to escape to freedom. In 1823, Joseph VanArsdale was freed by the will of Abraham VanArsdalen in Somerset County, New Jersey. Joseph would become one of the earliest black property owners in Princeton, New Jersey. This is their story in Slavery and Freedom. Einstein’s Fiddle begins with a man abandoning his child on a doorstep of a stranger’s home; the rest of the novel seeks to reveal and understand this man. What was the inspiration for the setup to this emotional novel? Like my first novel (A History of the World), Einstein’s Fiddle began as a short story. The story form was abandoned quickly – perforce, as soon as Davy abandoned Mitchell. The inspiration for the setup was a simple disturbing question that presented itself: What if someone – no, not just someone – a dad – left his baby boy on a doorstep? The image that first came to mind was of the proverbial unwed mother from earlier decades in this country – desperate, ashamed, alone, afraid, and apparently out of options. The obvious second question followed hard upon the first: why would any person – at least any loving father – do such a thing? 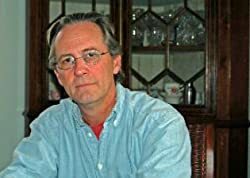 And these were questions that led quickly to others – questions of personality, motivation and experience – and my poor powers certainly could not answer them, or sufficiently illuminate the depths of such a father (Davy Calhoun), in a short story. Davy Calhoun is a multilayered character that is deftly developed. What were the driving ideals behind the characters development throughout the story? It’s hard to not get emotional when reading Einstein’s Fiddle. Did you pull anything from real life or personal experience to use in this novel? I spent time in all the places where the narrative unfolds – Charlottesville, Washington, D.C., Chicago and San Francisco – and I used a lot of my experiences of those places (and the places within those places) in the book. As I imagine any author does, I created whole characters with pieces of people I know or have known. 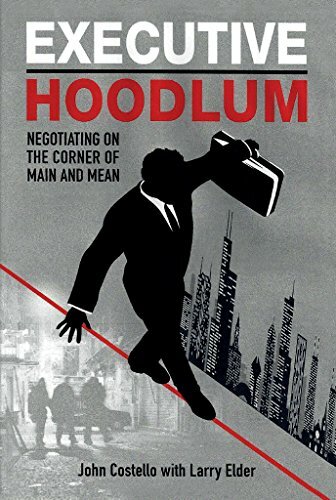 Whenever it worked well in the narrative, I used – call it stole, if you like – real-life stories that friends have shared with me over the years. In the last section, when Davy is in San Francisco, there is a scene near Pier 39, which completely replicates something that happened to a good friend of mine in New Jersey. 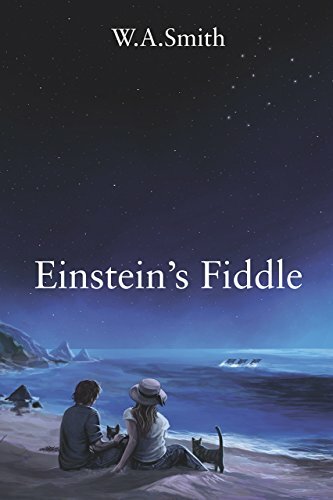 It was a wonderful gift to me, and I gave it joyfully to everyone who reads Einstein’s Fiddle. The working title is Thomas, but that could change in an instant. I expect it to be much shorter than Fiddle…but that could change too. I don’t want to say much about it right now, except that it is about a life-changing relationship between a white doctor in Charleston, South Carolina, and the black man he hires to build a stable for his horses. You can safely bet that there will be fathers and sons in this book too…. I hope it will be available in a year or so. I’ve begun to work on it in my head, but I have yet to write the first word. What kind of man leaves the infant son he loves on a doorstep in a strange town and drives away? With its present set in the summer of 1985 and its past reaching from 1950 to 1974, Einstein’s Fiddle is a dramatic examination of Davy Calhoun’s journey from home to the far country and back. The language and landscape of the novel vary between the existential and familial, tragic and comic, as the non-linear narrative – by turns realistic, lyrical, magical – focuses fearlessly on Davy’s fall, dishonor and redemption. The Diary of Hakim Jones is a fascinating character story about the obstacles a person faces when growing up in the inner city. What was your inspiration for the character and stories in the novel? The Diary of Hakim Jones is basically my life story with some fiction added. Most of these experiences I write about in this book are based upon similar experiences I have been through in my life. I hope to inspire the young men and women in our urban areas to never give up on their goals no matter how hard the road ahead may seem and I also hope to make those who are not familiar with the inner cities aware of the many hardships and struggles that go on in communities where the educational system has failed, along with a depleted economic system, and the loss of just basic family and community values. This story is about a boy growing up in Newark, NJ. The background for the story I felt was well done. How are you familiar with Newark and New Jersey? I grew up in Newark NJ and still live their today. I am also an employee for the city of Newark. I believe readers who have grown up in the inner cities around the country can relate to my book. This story is told in a diary format. Why did you choose to tell the story in this format? How did that play into your development of the character? The story is written in diary form because at first I was just writing down random events that had taken place in my life. But then I thought to myself, why not write the book in a diary (format) so that I could make it possible for readers (to feel like) they are watching a movie while reading my book. What is the next book that your fans can expect to see from you and when is that coming out? Life in the hood is tough; violence and drugs are everyday realities, and motivation to change can be hard to come by. The Diary of Hakim Jones is a gritty story of a young man who grew up in one of the most violent neighborhoods in America, but he finds out that through vision and perseverance, he can escape to a different life, one he would never have dreamed possible. 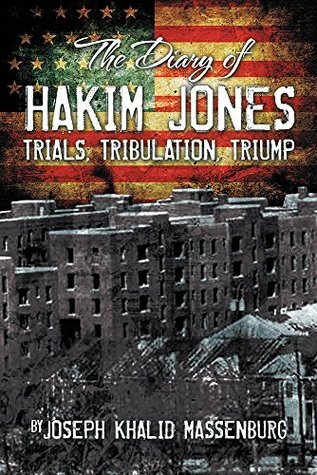 Enlightening and inspiring for all readers, The Diary of Hakim Jones is especially meaningful to anyone who grew up in a rough environment, showing that a good work ethic and the will to succeed can break through seemingly impossible barriers. Realistic, motivational, and hard-hitting, this true-to-life novel will inspire you to see past your limitations.